George A. Birmingham is the pseudonym of James Owen Hannay. Major Kent’s Irish country house is burned down during the Irish War of Independence in 1921 by a member of his staff. He was warned it was to happen so he takes with him a set of valuable candlesticks which he dropped accidentally in the Shannon before his escape to Weymouth. In Weymouth the major meets his old friend, Rev JJ Meldon, formally vicar of the Irish parish where the major lived. At his instigation they go to Ireland to attempt to recover the candlesticks from the river, the major fearing that he will be arrested for non-payment of income-tax. There then follows a series of comic events worthy of PG Wodehouse but with politics… These include blowing up a bridge, civil servants hiding in cellars, fraternising with the leader of the IRA. 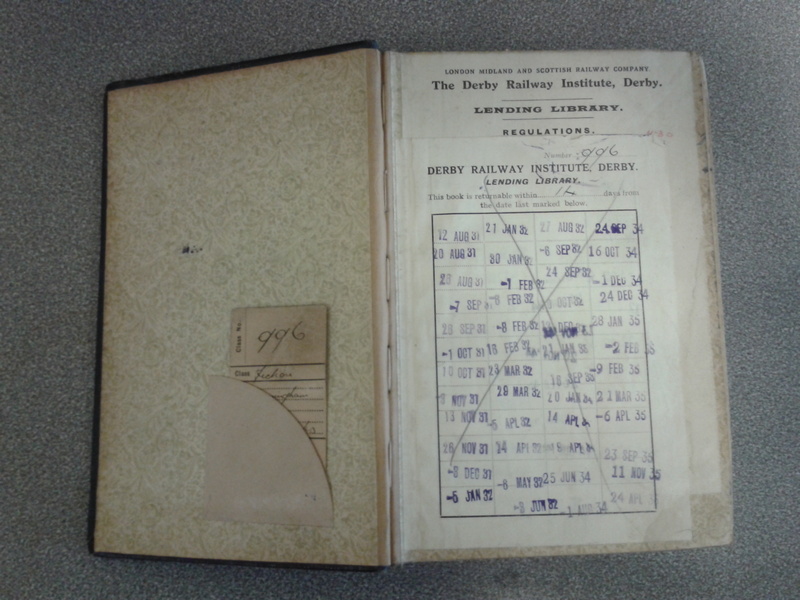 This book, published in 1929 was obviously very popular with the borrowers of the Derby Railway lending library, being borrowed regularly from its purchase in 1931 until 1949 – it was borrowed only sporadically between then and its disposal in March 1961. The book reminded me of Troubles by JG Farrell, written in 1970, which also satirizes the behaviour of some of the Irish people during the war of independence. In writing the book, Birmingham incurred the displeasure of the Irish State, the Irish people and those promoting the use of the Irish language. It’s hardly surprising as he manages to poke fun at all three groups and makes no mention of the atrocities perpetrated by the Black and Tans, representing the British army during the war. He also makes fun of the German character, in the person of Herr Diessman, who is supervising the building of the bridge over the Shannon, near the site of the place where the candlesticks were last seen. The Irish state is mocked for its incompetence. The government appears to be pursuing the Major for non-payment of income-tax on a property which no longer exists and from which he draws no income. The author devotes a whole page to comparing English attitudes to government to those of the Irish – and has not much respect for either. The Irish alone have grasped the fact that obedience to existing laws is an invitation to Governments to make more. (…) Therefore a Government which finds its subjects obey laws quietly is forced to make more until at last – England is the most striking example of this – all hope of peace and quiet vanishes. He also goes on to say that the Irish government prefer murderers to law-makers as they are less inconvenient to the ordinary citizen. The Irish character is mocked as being unprincipled, work-shy and willing to argue with anyone and is demonstrated by a series of incidents designed to remove Herr Diessman from the area in order that the candlesticks can be retrieved. I enjoyed this book; the style of writing travels well whilst I do not share his attitudes to the situation of the Irish at the time of writing and I can see its appeal to an English audience at the time he wrote it.